Baseball Sweater Vest by BEREK. 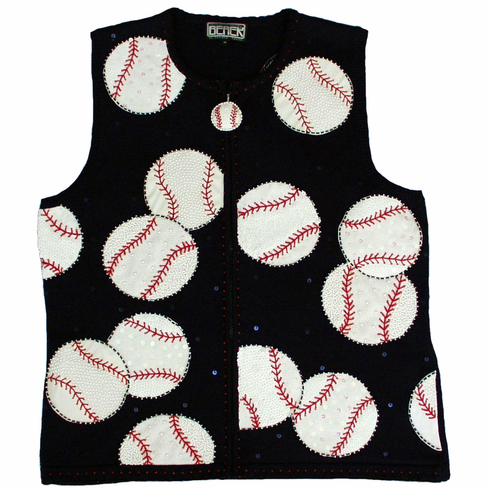 This RETIRED navy blue baseball sweater vest by BEREK features all kinds of sequins, making this boutique quality vest a must-have for women who love the game of baseball. Very Limited Quantities - these are no longer being made.